Mom to Bed by 8 ‘Iowa-Mom’, Powered By Mom and Mommy and Baby Reviews and Giveaways is proud to present the The Summer Patio Retreat Giveaway Event, June 18 to July 2. Join the Summer Patio Retreat Giveaway event today! 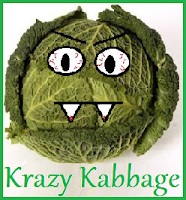 Please tell them Krazy Kabbage sent you!